With November here and Mother Nature having set the landscape ablaze in autumn's most amazing colors, the inclination can be to follow suit with similar warm-toned wardrobe picks. I say let's switch that up a bit by reaching for something a bit unexpected. Shades of blue are stunning and gorgeous and truly some of the best neutrals among the traditional burgundys, wines, grays and cognacs of the season. 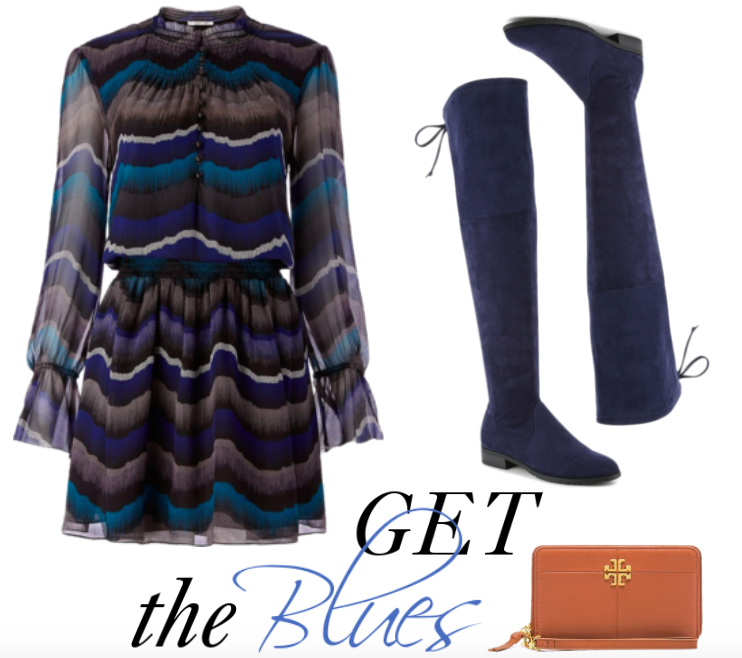 Over the knee boots are among my absolute favorite for fall and winter and this pair in navy are one of my current favorites for so many reasons. First off, they're perfect for pairing with dress and skirts and are just as great a match to skinnies and cozy sweaters wrapped up in a scarf. Along with that, the color navy is such a classic but can somehow be nearly impossible to find. When you do, you best not past it up. Finally, the price point on this pair is unbelievable (aka under $70! Wow!). 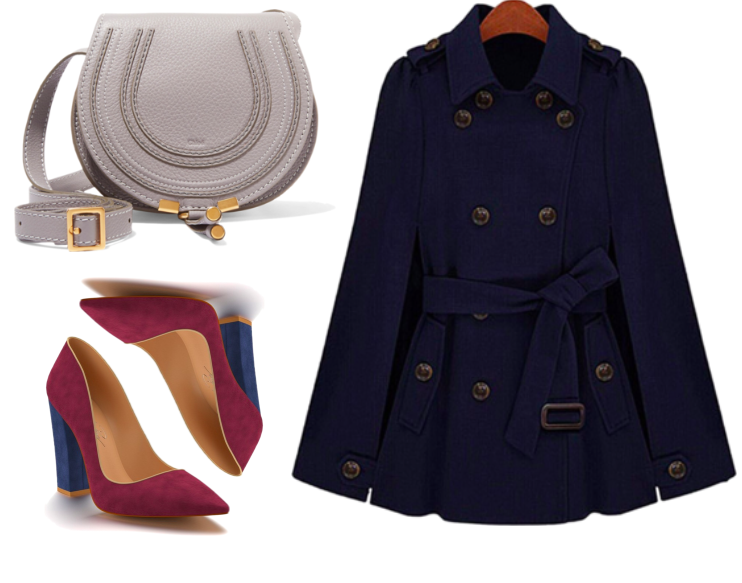 This caped trench is indescribably good atop gray denim or paired with this bag. Oh Chloe, how is it you know me so well? Haha. What about you? What unexpected color combos are you coveting right now? Hope you're enjoying a wonderful week and thanks so much for reading!